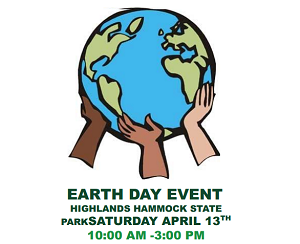 Highlands Hammock State Park will be celebrating the legacy of Earth Day on Saturday, April 13. The event is scheduled from 10:00 a.m. to 3:00 p.m. in conjunction with Earth Day, which is officially April 22. 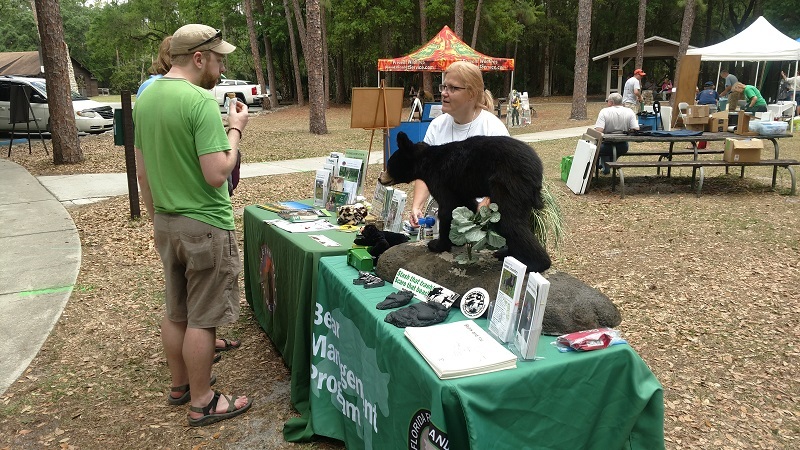 According to Ranger Laura McMullen, “It is an educational day to learn about government agencies and non-profit environmental organizations that have significant impact throughout Florida as well as locally throughout the greater Heartland.” Programs on the history of Highlands Hammock, Big Cypress National Preserve, and the Florida panther and black bear are scheduled throughout the day in the Civilian Conservation Corps Museum. CCC Museum curator, David Schmidt, reveals a remarkable story in tracing the origins of Highlands Hammock and Archbold Biological Research Station, which ensured the preservation of land, established a park, created a research facility and advanced biological science. His presentation ‘Legacy by Happenstance: The Roeblings and the Archbolds’ is at 10:00 a.m. Lisa Andrews, Education Coordinator, Big Cypress National Preserve, will present an overview on the Big Cypress, one of America’s first National Preserves at 12:00 p.m. The Big Cypress, a refuge for the endangered Florida panther and red-cockaded woodpecker, plays a critical role in providing fresh water flow to the Everglades, and is essential for the health of Gulf Coast estuaries and marine fisheries. Lisa Ostberg, Defenders of Wildlife Coexistence Coordinator and Florida Fish and Wildlife Conservation Commission (FWC) Bear Response Agent, will provide updates on the Florida panther and the black bear at 1:30 p.m.
As a park with more rare and endemic species than any other Florida State Park, Highlands Hammock is a place where a sense of wilderness is preserved---where visitors may walk the trails where a Florida panther and a black bear have quietly passed. The tale of how this park began together with the history of Archbold Biological Research Station, is an extraordinary success story that underscores the importance of continued land acquisition and conservation. Further, the programs are timely, in view of the recent news coverage of the massive panther sighting in Hendry County and the story of the python whose record-breaking length exceeded 17 feet in the Big Cypress. They are reminders that panthers and black bears are territorial, requiring large tracts of land, and the removal of exotic, invasive species, which can be difficult and costly, may greatly benefit from innovative research. 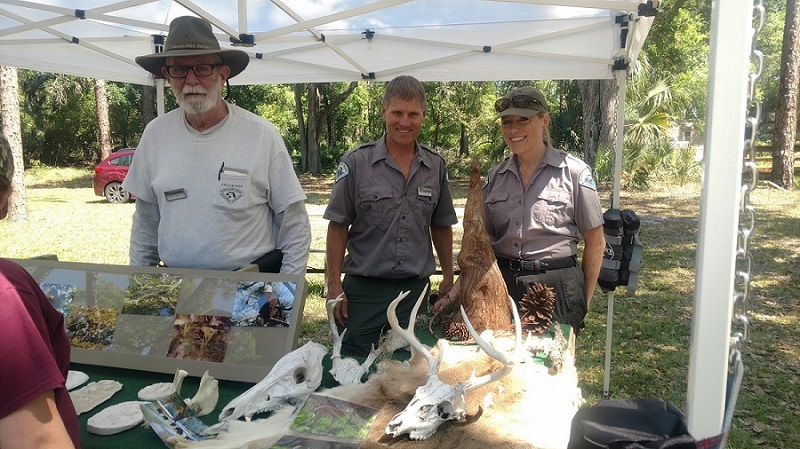 The Florida Forest Service, the U.S. Department of Agriculture, and the Florida Department of Environmental Protection South District Office are some of the agencies with staff on site to provide information. 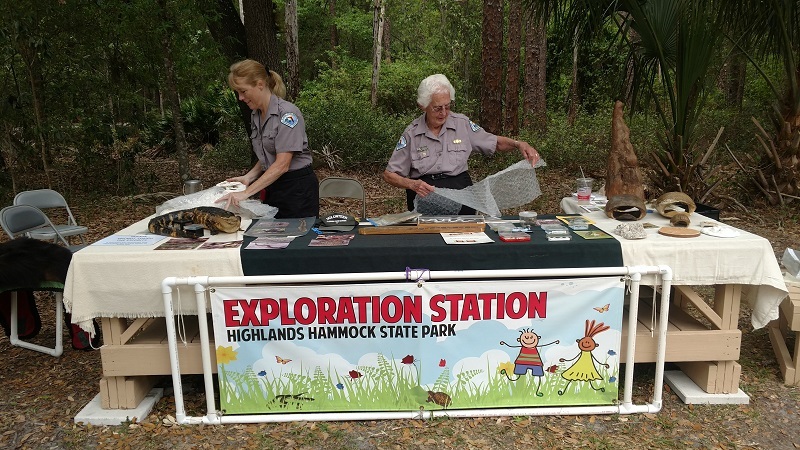 Exhibitors also include Archbold Biological Research Station, the Florida Trails Association, IFAS Master Gardeners, Highlands County Audubon and Ancient Islands Sierra clubs. Selected items from the Exploration Station, the park’s collection of skulls, shells, tracks, snake skins, and bones will be on display. Earth Day will also feature an ‘Alligators in Florida Culture Art Exhibit’ by high school and middle school students from Highlands County District Scools. Nature walks on the Cypress Swamp Trail led by trail guide and naturalist Brian Woodworth are scheduled at 9:00 a.m. and 11:00 a.m. Visitors will meet in the Cypress Swamp parking area on the Loop Road. A Saturday Kids Discovery Nature Walk for children aged 5 to 13 is scheduled from 10:00 a.m. to 11:00 a.m. on the Wild Orange Trail. All children must be accompanied by an adult. Families will meet at the Music in the Park stage in the picnic area prior to departing on the Wild Orange Trail behind the Hammock Inn. Following the hike, Ranger McMullen will introduce the Junior Ranger Program. Her presentation takes approximately one hour and focuses on recreation, natural resources, cultural resources, and service. Youth ages 7 to 13 may begin working on activities to become Junior Rangers and younger children under the age of 7 may participate with the assistance of a parent. Visitors are instructed to park in the ‘overflow fields’ inside the campground gate. Earth Day activities are in the picnic area, which is easily accessed by walking the boardwalk between the campground and the picnic area entrance. Creative Chef on Wheels is scheduled as a food vendor for the day. Park entrance fees of $6.00 per vehicle (up to eight people) and $4.00 per single occupant vehicle apply. Visitors who bicycle into the park or walk in on foot pay a $2.00 entry. Highlands Hammock is located at 5931 Hammock Road in Sebring. We look forward to seeing you and your family there! Free Estimates on New Units! Not valid with any other offer or discount. Time Limited.